So, I'll leave you with this super simple and abundantly flavorful dish that is perfect as a side for roast chicken or makes an elegant addition to a light salad. The flavor comes from the herbed-salt rub and the touch of compound butter when serving! Mix together the salt and herbs. 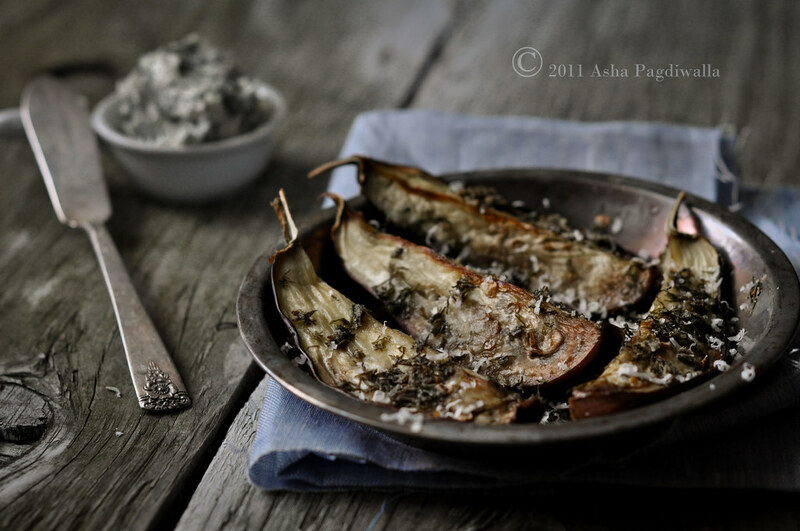 Rub the eggplant pieces well with a third of the herb-salt mixture and set aside for 10 minutes. Dab away the moisture that will be released. Drizzle lightly with olive oil and sprinkle the remaining herb-salt mixture over the vegetable. Bake at 375 degrees for 20 minutes until the edges are browned and the vegetable is fully cooked. Serve with herbed butter. Fold the salt, herbs and soy sauce into the butter. Chill in the fridge until ready to serve.